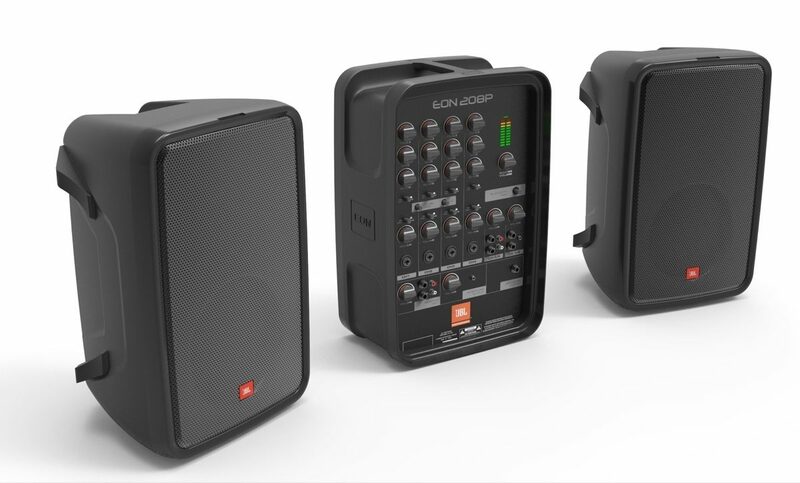 Your JBL EON208P comes with speaker cables, IEC power cable, and even a handheld AKG vocal mic in the box. 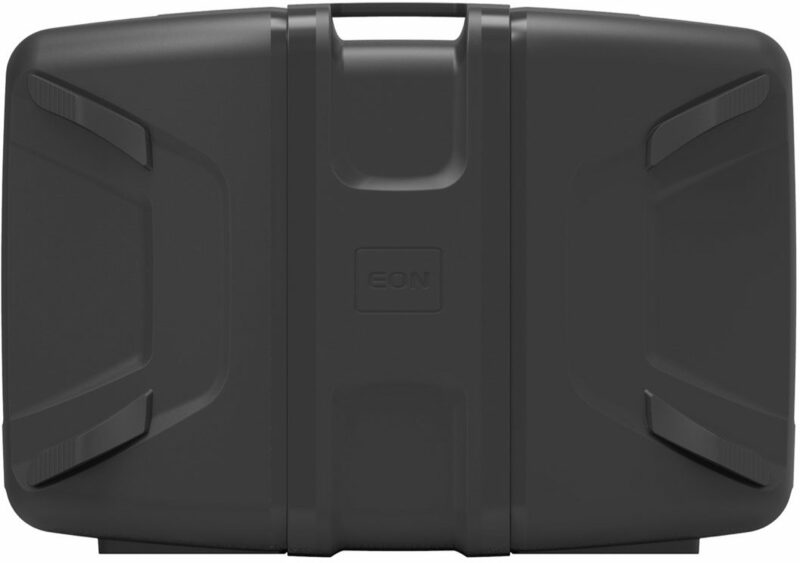 EON208P puts professional audio within arm's reach--literally. The twin 8" speakers and 8-channel mixer clip together to form the most comprehensive, lightweight and portable PA in its class. Carry it in one hand with a guitar slung over your shoulder to play coffee shops and medium-size gigs. Turn a backyard into the hottest nightclub around. Then take it to the office for the big presentation on Monday. 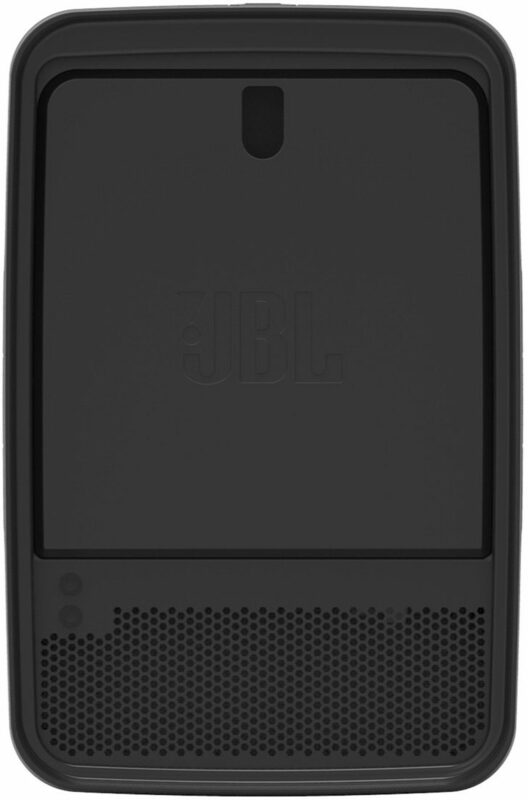 With uncompromising JBL sound quality and effortless portability, you'll want to take it everywhere. 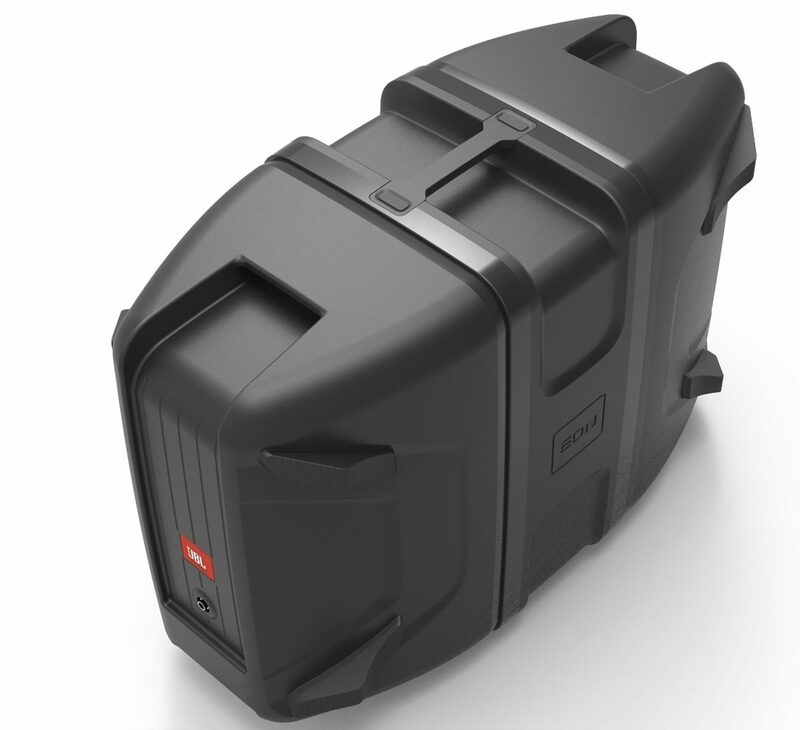 The versatile enclosures enable facilitate stacking, pole mounting and monitor position. 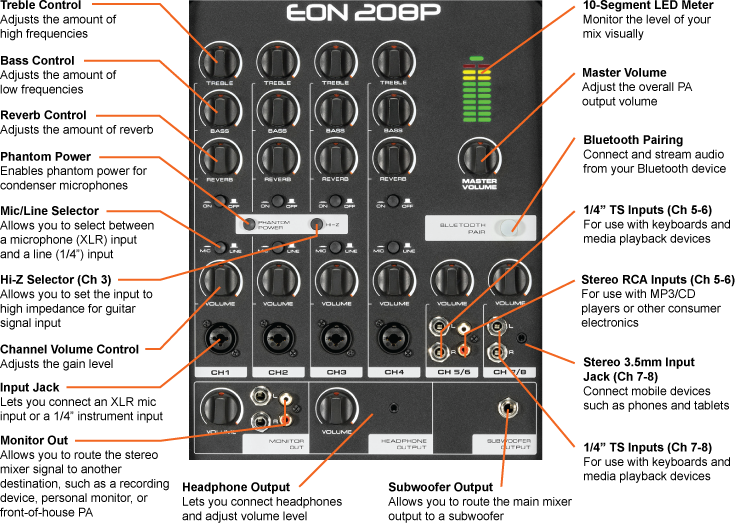 - Box includes EON208P, speaker cables, IEC power cable, and AKG handheld vocal mic! 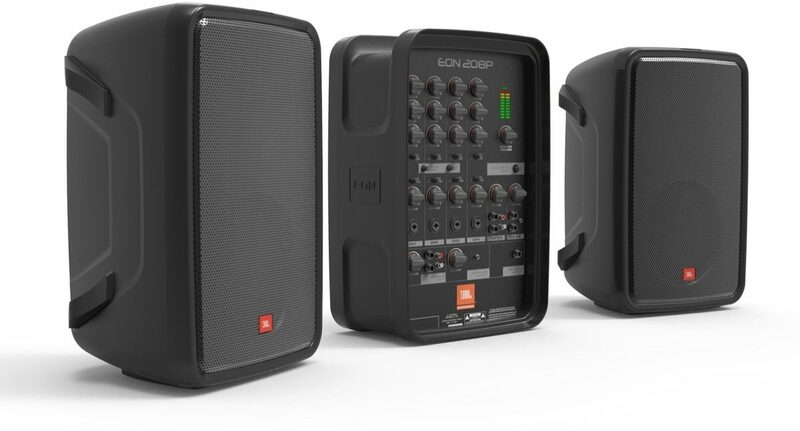 "The JBL EON208P Portable PA System"
Overall: This has to be one of the best portable PA systems out there designed for the soloist who wants to set up and breakdown in a matter of minutes. 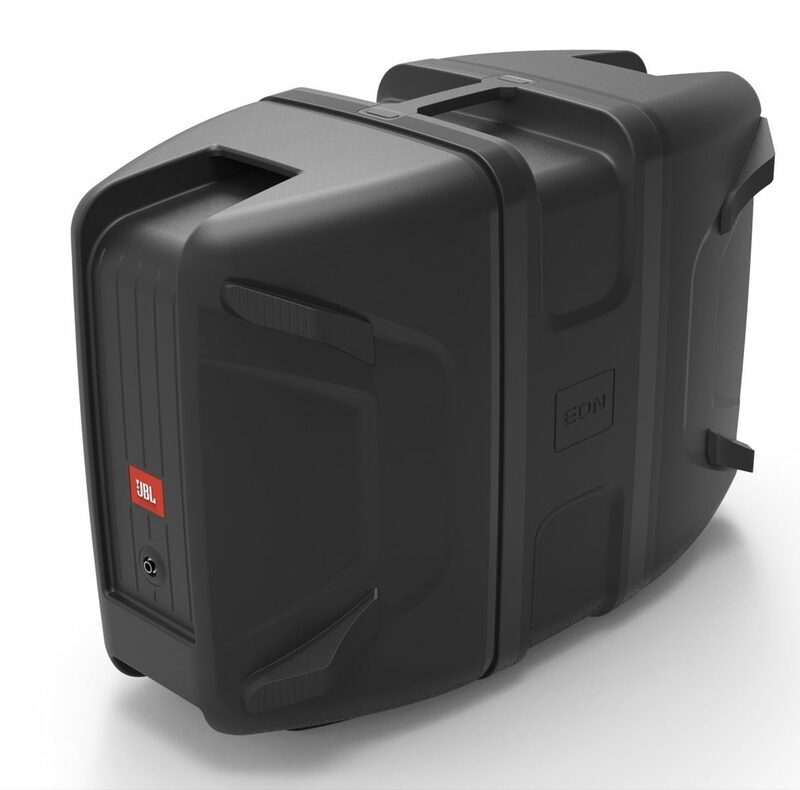 I like the way it packs up like a piece of luggage and tipping the scale when put together is a mere 38 pounds. It won't break your back or give you a double hernia. 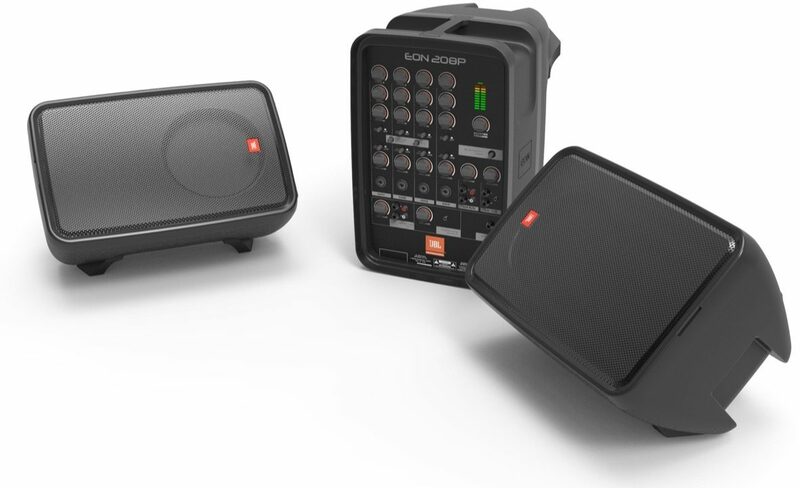 It is incredible what 300 watts can produce for you. My '84 Martin D-12-28 rings and chimes in this system like it should. 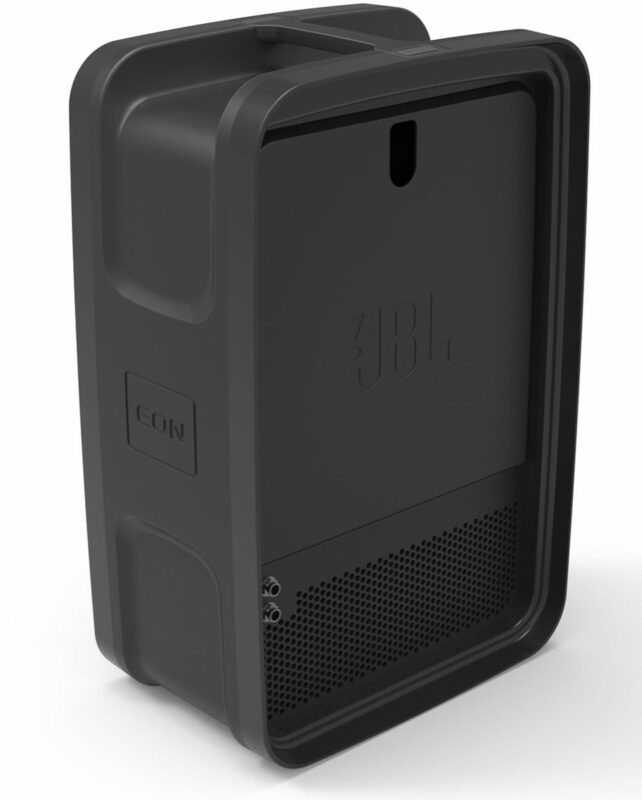 The JBL 8" 2-way speakers are amazing the sound dispersion and are very efficient that JBL has always been famous for with their speakers. The only thing that I would advise is to upgrade the speaker cables that came with the system. I replaced mine with a pair of 14 gauge speaker cable. I have no regrets buying this system and I see having it for the long haul. I highly recommend anyone who has a solo guitar act in picking this system up. You won't regret it. 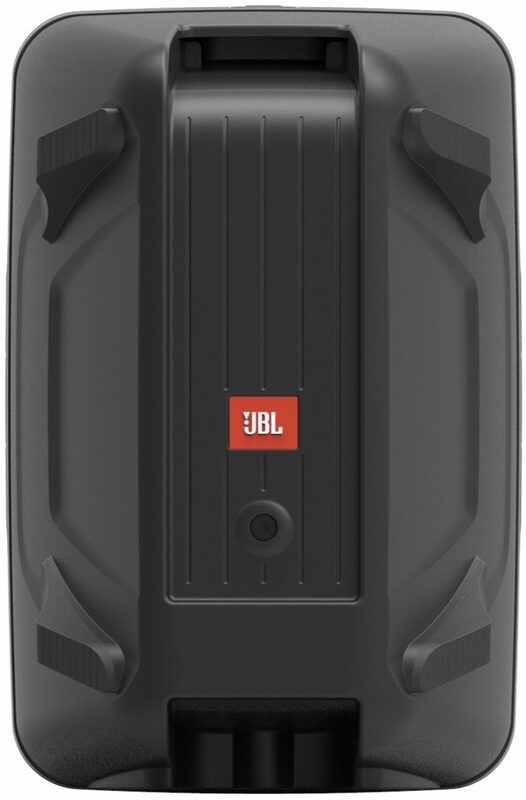 "Best Portable Yet and Awesome JBL Sound !"